Taking a gap year is a big decision. Deciding whether to defer college is one of the most important choices you’ll make about your education and doing so will have a profound impact on not only what you choose to study and do professionally, but the rest of your life. You probably have a lot of questions. The good news is: We have answers! Find answers below to some of the most common questions we get from students and parents like yourselves, who are also considering taking gap years before starting college. This is by no means an exhaustive list. If you have additional questions, visit Rustic Pathways Gap Year, email me at gap@rusticpathways.com, or call 800.321.4353. You can also find more answers in our gap year FAQ. How does taking a gap year fit into college? Most Rustic Pathways Gap Year students request a deferral after they’re accepted to schools and then enroll in gap year programs. Some, though, compliment a gap semester program with time spent working on their college applications during their gap year. Other students are early high school graduates or college transfer students. Studies and programs from schools like Harvard, Princeton, North Carolina-Chapel Hill, Florida State, and more show that students who take a gap year are more likely to complete their undergraduate studies in four years compared to their non-gap counterparts. What is Rustic Pathways Gap Year? Rustic Pathways offers three-month gap semesters and one-month gap blocks. 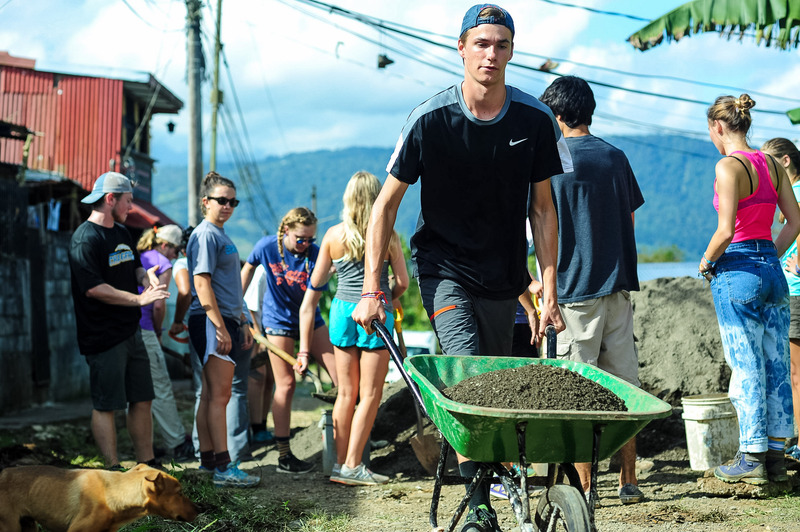 Our gap semesters incorporate community service, cultural immersion, and adventure travel taking groups of up to 16 students to three to five countries. Gap blocks, on the other hand, don’t incorporate all three elements and instead focus on one or two. A block group may visit one or two countries in 30 days. Nearly all of Rustic’s gap programs can be combined to allow students to customize their semester or year away from the classroom to create the right experience for them. A gap year is anything but a year off. Gap years are formative experiences that encourage personal growth while helping students determine how they want to spend the next four years and beyond. Rustic Pathways Gap Year alumni have told us they return to school happier, more focused, with a clear idea of what they want to study and pursue professionally. A majority of students who take gap years have had similar experiences, according to the 2015 American Gap Association National Alumni Survey. 75% of gap year alumni in the survey believed their gap year improved their preparation for college, impacted their career field, or helped them get a job. What’s the difference between Rustic Pathways Gap Year semesters? Community service, cultural immersion, and adventure travel differ depending on the Rustic Pathways Gap Year semester you choose. South Pacific Service and Ocean Skills, for example, features the most physical adventure of any of our semester programs. It doesn’t, though, feature quite as much service as Golden Lands and World Heritage or Spanish Immersion: From Havana to Macchu Picchu, the other two-semester programs. Where you travel also determines the type of adventure you’ll experience. Adventure in the South Pacific includes whitewater rafting and bungee jumping. You can even earn certifications in scuba diving and Wilderness First Aid. In Southeast Asia, though, you’ll visit expansive night markets, trek to mountain-top temples, and eat fried tarantulas. In each of our gap year programs, you’ll stay in a wide variety of accommodations during your semester or monthlong block. Always accompanied by Rustic Pathways Program Leaders, you’ll stay in our Rustic-owned and operated base houses, hotels, hostels, and even the homes of local families in the countries you’ll visit! On average, a group of gap students will stay in one location and accommodation for about 4 days before moving on to the next spot. On semester programs, groups can really settle in when they stay at our base houses for up to a week at a time. Complete the online enrollment application. There’s no application fee or money due when you apply. After completing the form, we’ll schedule an enrollment phone call with you. During our chat, we’ll get to know you, talk about the important travel logistics leading up to your departure, and answer any questions you might have. Finally, you’ll work directly with our Gap Year Personal Travel Advisor, Carly Caldrone, to make payments, complete medical forms, and book your flights! Visit Rustic Pathways Gap Year for more information, email gap@rusticpathways.com or call 800.321.4353.